Instagram just launched its IGTV platform to rival YouTube. The IGTV platform works just like Instagram. The only difference is, this platform is for sharing videos. Instagram wants to make the mobile phones our primary computing devices. The IGTV bounds the users to record and post the videos vertically. All the videos are going to be vertical unless you chose to hard-rotate the phone to record them horizontally. So far, it was only possible to upload videos of maximum 1 minute on Instagram. With Instagram IGTV, the video upload limit has been removed. 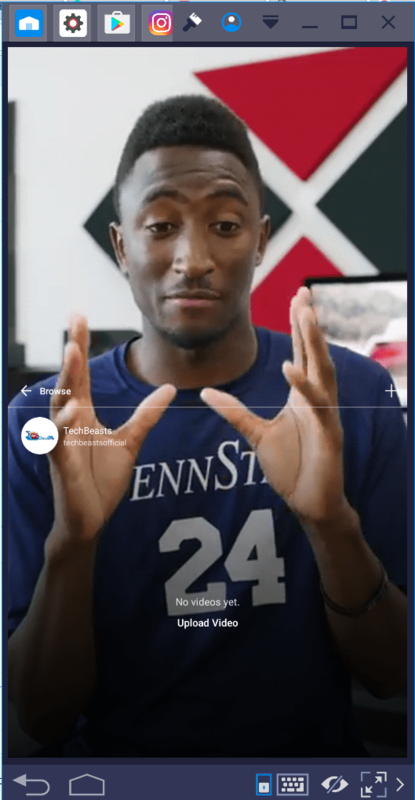 You can now post hour-long vides on the IGTV. 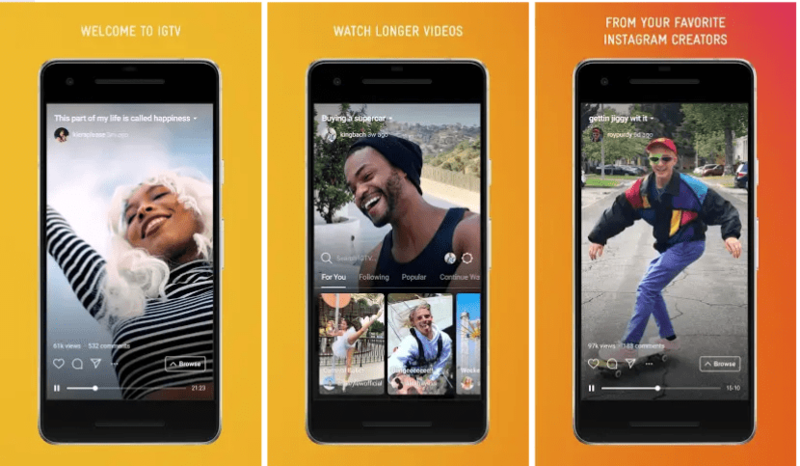 IGTV comes as a standalone application, as well as integrated into the Instagram application. Upon opening the Instagram app on your phone, you can see the IGTV icon appearing right before the messages icon on the top-right. An IGTV icon also appears when you access your profile on Instagram. This icon is the first icon right before the story highlights in your profile. The choice of using IGTV inside Instagram or in the separate IGTV application is totally up to you. By tapping the IGTV icon, a screen opens up showing you recently uploaded videos. These videos are either from the people you are following or from your interests. On this page, you can find a small icon showing your profile picture. Tapping the small icon opens your IGTV profile showing you option to create a channel and uploading videos using a + sign. At the time of writing this post, the videos on IGTV do not have loads of customization options. All you can do is to add the title and description. Your followers can comment and like your videos. A plus point to note here is the improved video quality. Instagram stories are good at ruining your videos. However, the IGTV will not act like the Instagram stories. All the videos that I uploaded have a presentable quality and the sound effects are quite audible as well. Overall, this is a very good application by Instagram. The IGTV is definitely going to set new standards in the video industry, especially regarding the vertical video recording. 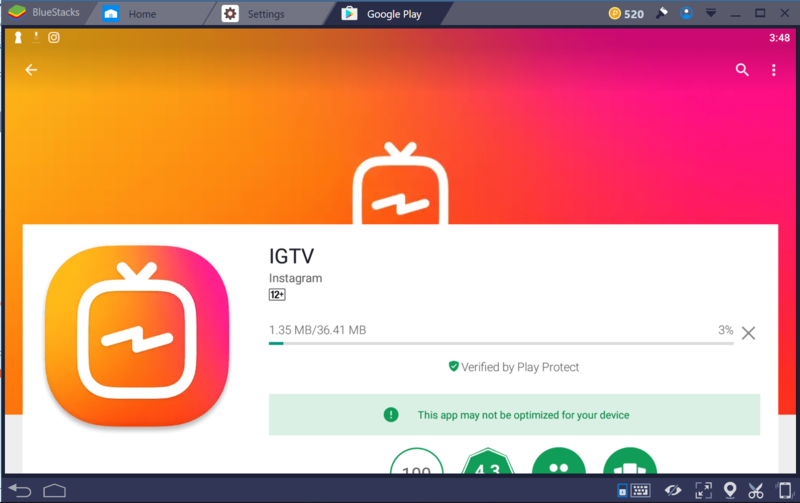 The standalone IGTV application makes it extremely easy to run IGTV on a computer. You can install Instagram IGTV for PC on Windows and Mac powered computers now. IGTV for PC will run smoothly on Desktop PCs and Laptops. 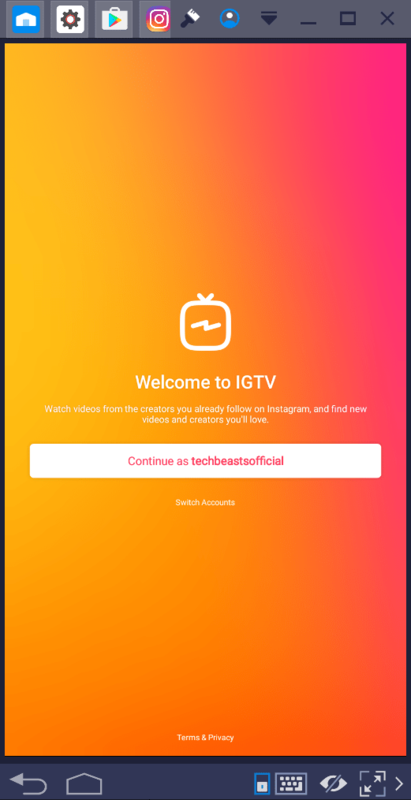 Instagram IGTV for PC can be used on Windows 7, Windows 8, Windows 8.1, Windows 10, Mac OS X, Mac OS and Mac OS Mojave. Follow the steps given here to install it right now on your computer in order to upload your favorite videos. Download and install BlueStacks N on Windows and BlueStacks on Mac. Open newly installed BlueStacks on your computer. On BlueStacks 3, open My Apps > System Apps > Google Play Store. On BlueStacks for Mac, find Play Store and open it. Now in Play Store, type “IGTV”. Let Play Store find and show you the IGTV. Install IGTV once you find it. Now open My Apps or All Apps and find IGTV. 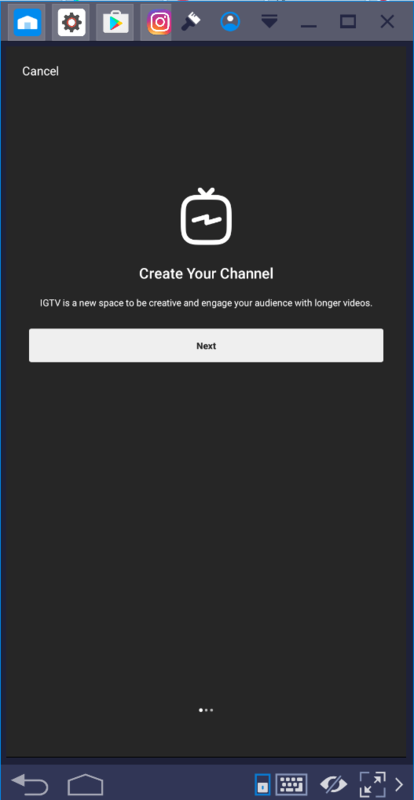 Launch IGTV, log in using your credentials and create your channel. Now upload the videos and show off. 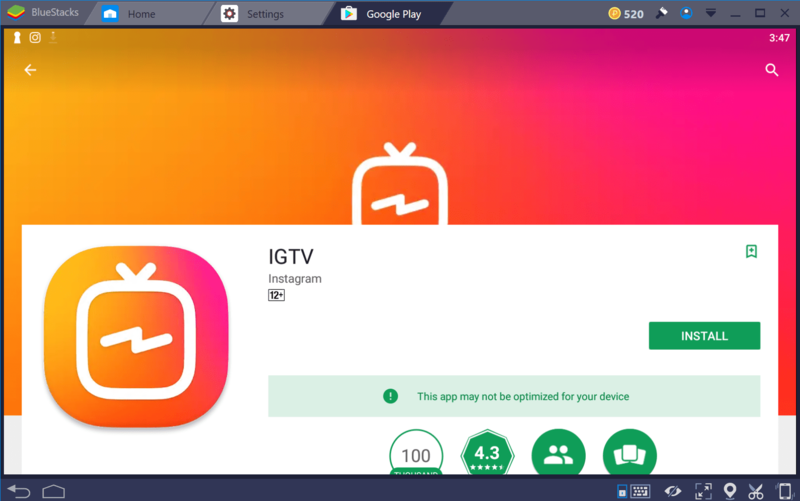 Alternatively, download IGTV APK and install it manually in BlueStacks.